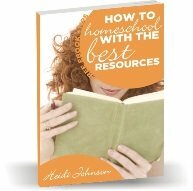 With this homeschool math review, you get an overview of most of the math programs available for homeschooling. The most popular math programs that I know of are Saxon, Horizons,Singapore, Abeka, Switched on Schoolhouse, Math U See, Modern Curriculum Press, Miquon, Key To Series, and Spectrum. Do I want a spiral program or a mastery based program? Spiral means that there s lots of review done in each lesson. Programs like Horizon, Saxon and Abeka use a spiral approach to teaching Math. Mastery based means that there are chapters that teach concepts and the review of concepts might be at the end of a chapter or at the end of a set of chapters. Singapore, Modern Curriculum Press and Spectrum use a mastery based approach. How much preparation do I want to do as a parent? Do I want to read through a scripted lesson plan each day and teach the lesson to the child or do I want my child to be able to work through the material on their own for the most part? Do I want a textbook approach or a more hands on approach? Most math programs use a textbook approach but some programs like Math U See have built in some hands on methods that also work well to teach the concepts. Do we want a colorful book or just black and white pages? Sometimes students need colorful interesting pages to hold their attention to the page and sometimes all that color is distracting. You know your child best, so be sure to look at this aspect when choosing a math program. Is it important to me that the Bible be included in our math program?A few math programs have Bible verses on their pages, but for the most part, math programs just teach the math facts and don't worry about including Bible teaching there. Make sure your math program includes these important features. If you're just getting started with homeschooling or have young children, you might want to read How to Homeschool Kindergarten first and skip getting a math curriculum just yet (if at all). A+ Tutorsoft - Computer driven math program that is interactive and complete. The 3rd grade disk is free for a limited time. Aleks Math - Online math program. 30 day free trial. Mathletics - Online math program. Our favorite program this year. Math Score - Online math program. Complete curriculum with emails to parents on student progress. Quarter Mile Math - Computer program where your child races either as a car or a horse with math problems to help him/her win the race. Good fun and good practice too. Timez Attack - Great computer game to help learn multiplication facts without realizing you're learning or doing drill work. I hope you have enjoyed this homeschool Math review and that you have learned some things that will help you make an informed decision when it comes time to choose what you want to use for Math.